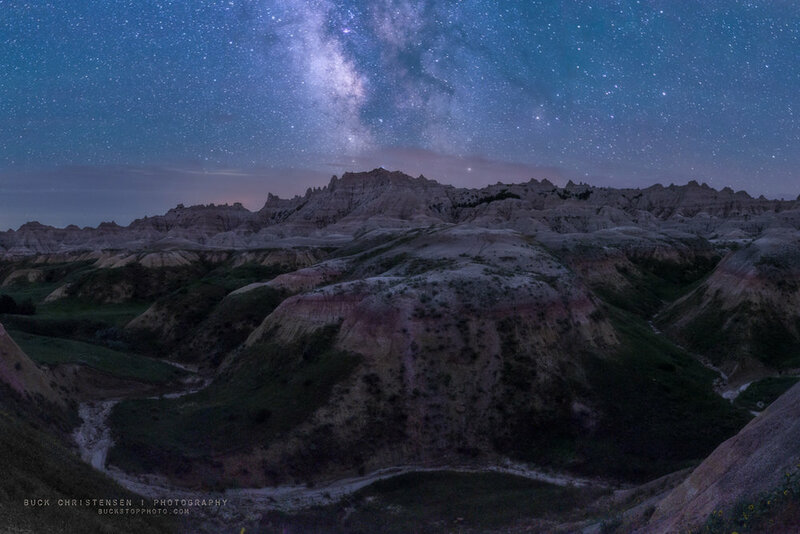 This was taken last Thursday in Badlands National Park, during the new moon, near the area known as yellow mounds. I'm not going to bore you with all the obsessive planning/obsessing that has led up to the small series of photos I captured during our (ie, Teri's, Gavin's, and my) latest twelve-hour visit to the park. If you know me well, you already know how much I love the Badlands and how much I talk about visiting the park, and you're probably tired of hearing about it. I'll start the series with this photograph, taken around 1 am mountain time, that I will always look back on and smile because that wonderfully still night, adorned with distant calls from howling coyotes and mystery rustlings and the profound stillness between, seemed to last forever.